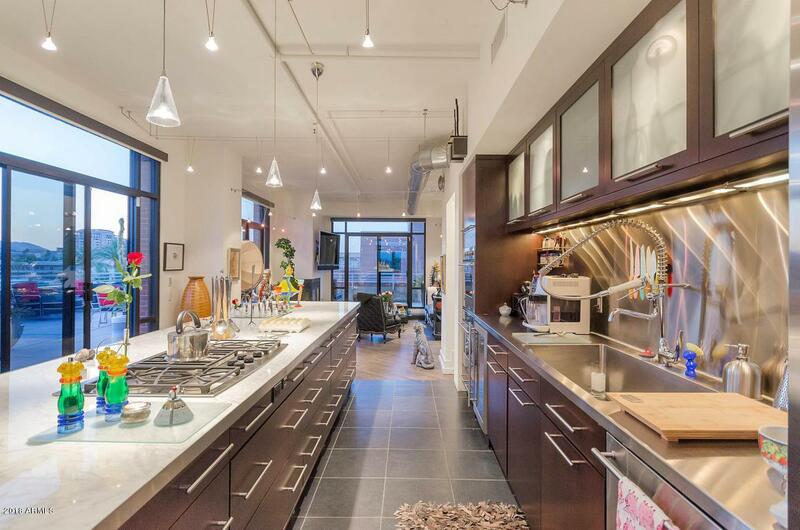 Outstanding upscale contemporary condo in this award winning building. 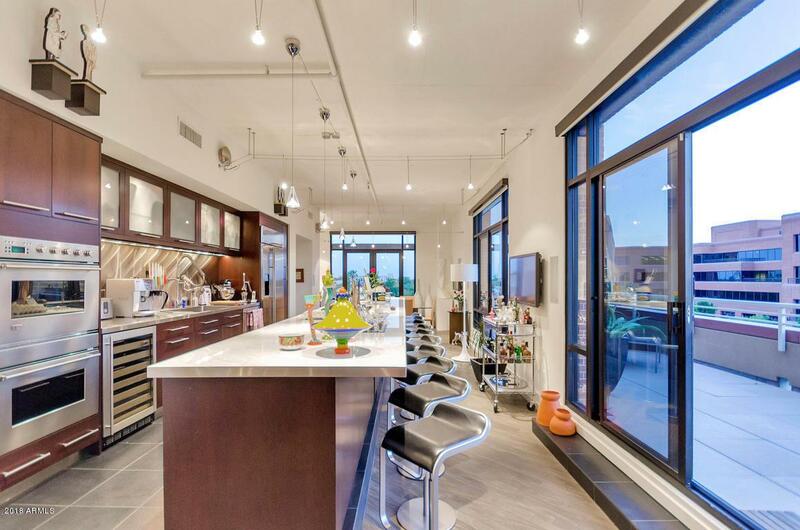 Enjoy the 'Luxury Urban' lifestyle with minimal walking distance to Old Town Scottsdale. 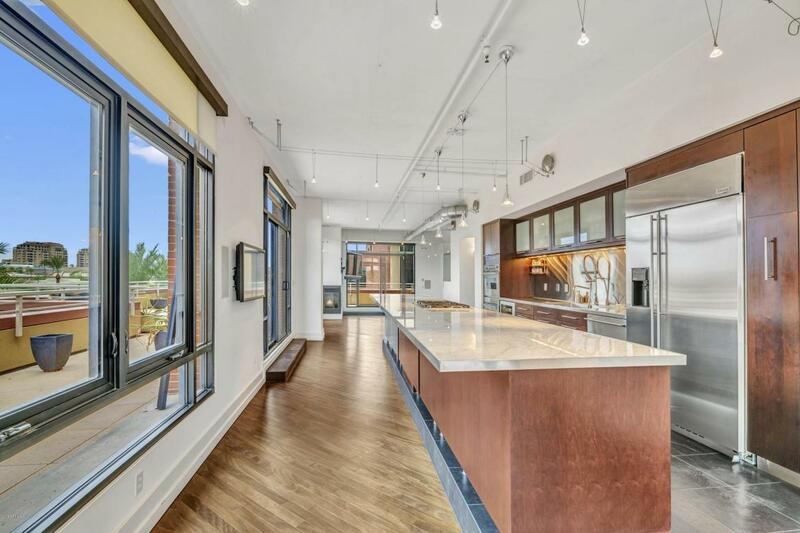 This immaculate residence boasts superb and modern touches, including a Gourmet kitchen, 20' high Master bedroom ceiling, sumptuous wood and tile flooring harmonized for Ultimate Loft Living! Enjoy the amazing 1200sf wrap around balcony with spectacular City Views. Comes with four reserved underground parking spaces + separate storage room. Concierge services, Fitness Center, Heated Pool/ Spa, Courtyard w/BBQ and F/place. 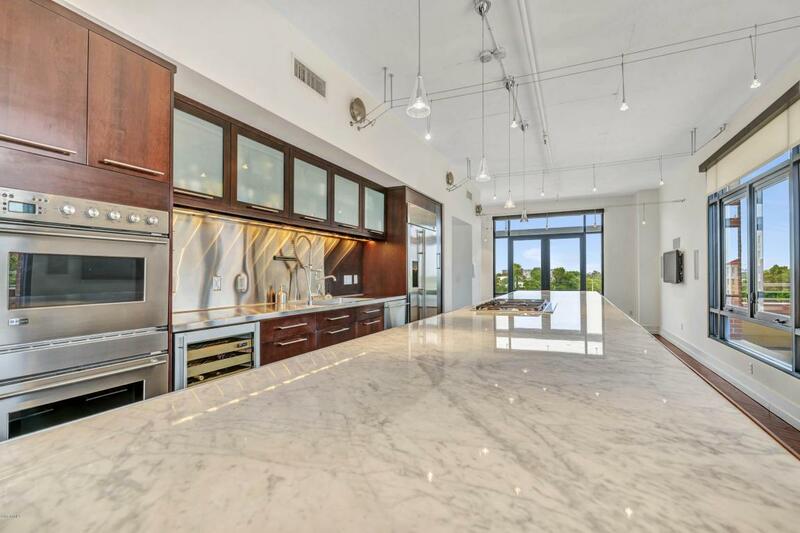 This inspired and exciting architectural home has Upgraded Lighting, Electric Window coverings, Huge Marble kitchen counter-top and so much more! A true one-of-a-kind residence.